Man is not confined to any one place these days and he loves to move on. He wants to explore the remote and unknown places and wants to wander like a bird. Thoughts of travelling makes you poetic and when you talk about air travel then it is really a romantic feeling. Sometimes it’s not just wandering for it can be more than that. You might have to go on a business meeting or travel by plane for a family functions. For reaching to your destination you initially would hire a taxi. It is not that you will hire any taxi just all of a sudden. You will monitor the reputation of the taxi. For this you would go online and check the available options or if you have any recommended number, you would dial that. So all in all a best taxi service must be cozy and comfortable and above all should have a reasonable fare. Hi-tech security cameras give a feeling of safety to the customer and anywhere the customer goes; remains safe and sound, this increases the credibility and efficiency of our service for you. There is first- aid kit and system in Taxi to tackle small injuries. Our drivers are efficient to drive on different places and are licensed to drive in Perth. So you will be escorted safely to airport and taxi to Perth Airport will help you to reach to airport with you bag and baggage without any problem. And for those travelling with children, we also have baby capsules in our taxis and cars ready for your use. So remember, the next time you visit Perth, call MaxiPortBees charter and taxi service Perth for safe and reliable transfer! Our operation include these areas: taxi in Canningvale, taxi in Kardinya, taxi in Yangebup, taxi in Henderson, taxi in Piarawaters, taxi in Success, taxi in Spearwood, taxi in Aubin Grove, taxi in Murdoch, taxi in Fremantle, taxi in Coogee, taxi in Hamilton Hill, taxi in Whitby, taxi in South Lakes, taxi in Hammond Park, taxi in Bibra Lake, taxi in Harrisdale, taxi in Munster, taxi in Cardup, taxi in Jandakot, taxi in Byford, taxi in Wandi and anywhere you want to go in Perth. 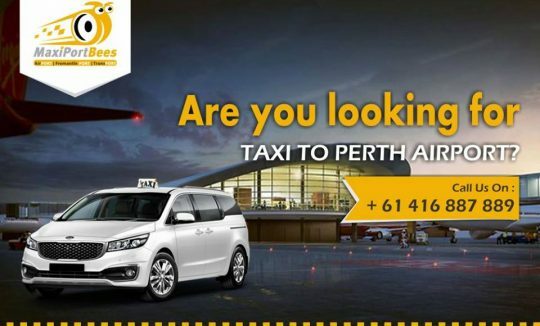 MaxiPortBees is one of the leading names for providing safe and reliable charter and taxi service in Perth from last 10 years.